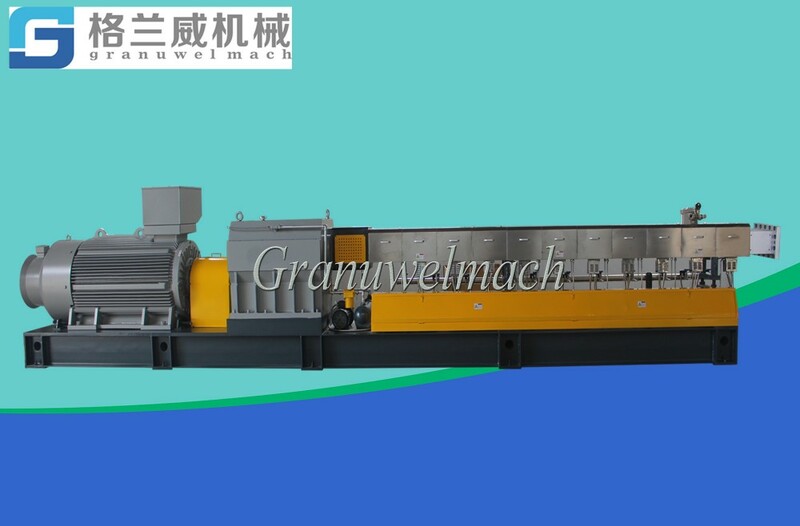 Nanjing Granuwel Machinery CO., LTD is a high technology enterprise specializing in R&D design and manufacture of high polymer extruders, and we concentrate our business on manufacture and sales of high-end extruding equipment. "Experiences come from practice".The initiator of Nanjing Granuwel Machinery Equipment CO., LTD has devoted himself to R&D and sales in the plastic machine industry for over ten years, gathering a number of top-level professionals, we possess excellent capability of innovation and product development, and desire to provide best products for our customers through improvement on equipment structure and reduction of equipment energy consumption through our practical experiences and technical innovation. In addition, we will optimize the structure design of the mixing equipment and integrate the mechanical, electrical and process system based on the material system and technological process. Our product line includes single-screw extruder, co-rotating twin-screw extruder with auxiliary pelletizing device (e.g. water-cool and underwater pelletizer etc. ), single /twin-screw unit for sheet and board extrusion, and WPC complete equipment etc. Our corporate objective: "Quality First, Integrity First, Service First, Pursue to Technological Innovation". We pursue to understand customers' demand and commit to customer's urgent need, and we will provide satisfied pre-sales consultation and comprehensive after-sales services to our customers. Jinan Shan Extrusion Machinery Co., Ltd.
ZHANGJIAGANG CHANGDA INDUSTRY CO. LTD.